Image by Hannah Duffy Photography. Now that we’re well into May (BTW how on EARTH is it May already?! ), wedding season is well and truly upon us and I’m all about wedding organisation right now (code for scheduling heaven!). If you’re in the throes of planning your own big day, I have no doubt that managing your budget is firmly on your to-do list. As I’m sure you’re well aware, it’s vitally important that you keep on top of your finances throughout the planning process. 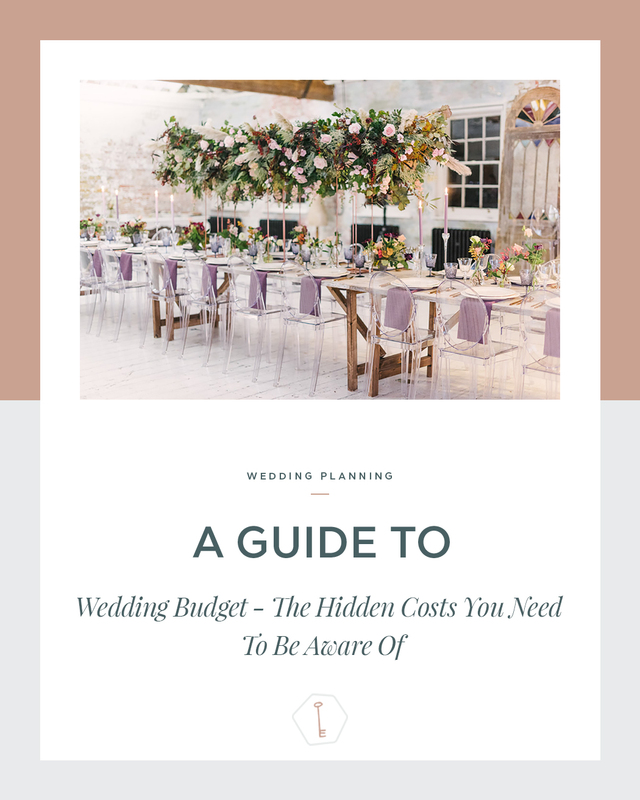 To help you do just that, and to try and make sure that you avoid any nasty surprises along the way, here’s my guide to the hidden and unexpected wedding costs that you absolutely need to know about. I think we’ll start here because these costs can add substantial amounts to invoices and leave you with bills that are thousands of pounds more than you expected. Not all wedding suppliers need to charge VAT so some of your supplier invoices won’t show VAT. HOWEVER, lots of suppliers, particularly venues and caterers will have to charge VAT, so you need to know whether the price you see is inclusive or exclusive. A venue quotation that looks to be on budget can suddenly become unaffordable when you add 20% to it. The way to avoid unexpected costs here is to ask the questions – does this include or exclude VAT? Will VAT be payable? Will any other service charges be added? Make sure you’ve got all the information to hand BEFORE you sign any contracts. This is another point to check quite early on in the process, usually when you’re visiting venues. How many hours does the hire charge include? If the venue fee only covers celebrations until 11pm but you want to party on past midnight, what’s the charge for this? You need to know these extra costs so that you can compare like-for-like when you’re making your decision. The same also applies to some caterers, entertainment and wedding planners. A venue that allows you to bring your own alcohol can save you some cash but only if the corkage fee added to the cost of the alcohol still makes this the most cost-effective option. Corkage costs can be much larger than you might think so find out how much you’ll be charged and be realistic about how many bottles this fee will apply to. Caterers can also charge corkage (a handling fee) for serving your drinks too, so again – ask! 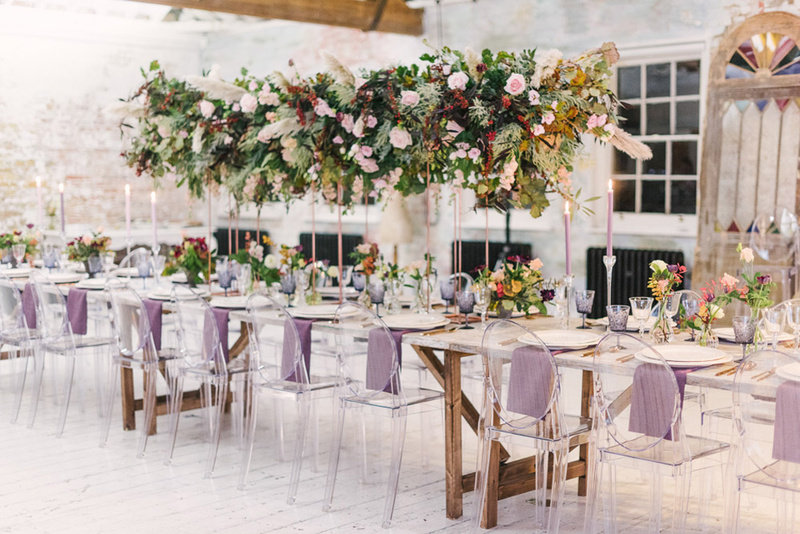 If you’ve chosen a blank canvas venue or if you like the idea of a marquee wedding, there’s every possibility that you’ll need to pay some kind of clean-up and break-down costs. You might need to pay for the removal of rubbish, for cleaning of the venue or even for a member of staff to come in to open the venue whilst you and your family clean up… seriously! Break-down costs should be included in quotes for a marquee, tipi or similar but it’s always worth double/triple checking that the figure you’re seeing includes EVERYTHING! This can be another cost that you might get hit with by your venue, particularly if you’re looking to work with a caterer, and potentially other suppliers, who aren’t on your venue’s approved list. Venues like to work with caterers they know for many reasons and it’s likely that the caterers on their list have spent a long time learning how best to work at the venue in question. If you want to bring in your own caterer, particularly into a historic building or family estate, then it stands to reason that the owners will want to make sure that the caterer is insured, professional and sensitive to the needs of the venue. The venue will often levy a charge or admin fee to cover them checking your supplier’s paperwork and credentials. When you visit your venue, ask if you have to use any particular suppliers and then ask if there are any costs involved in bringing in your own. 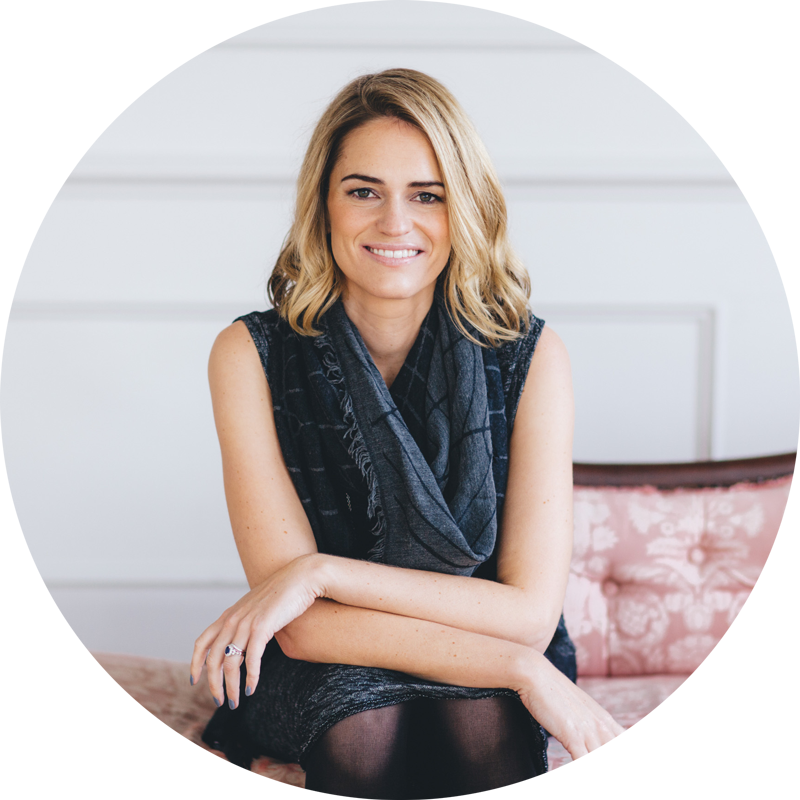 The asking for, giving and accepting of commission in the wedding industry between suppliers does exist – not in the majority of cases, but it does exist. So, if you’re not sure whether you’re being charged commission, ask for a fully itemised quote from all of your suppliers so that you can see exactly what’s going on. I have no doubt that in your wedding budget, you’ll have a line for your wedding dress and, when you go shopping, this will be the figure you have in mind. However, it’s worth knowing that when your gown arrives at the boutique, it won’t be ready for you to wear. Your gown will be altered by an expert seamstress so that it fits you perfectly. It might need to be taken up or in, you might want a dress loop added or details changed. All this work costs money and your alterations will need to be paid for before you take your dress away. When you’re trying on dresses, find out from your boutique how much alterations roughly cost and what your chosen gown might need. We all enjoy a bit of pre-wedding pampering so don’t forget to factor in costs for facials, manicures, pedicures and other beauty treatments. Similarly, it’s likely you’ll need at least one trial session with your hair and makeup artist and this will also need to be accounted for in your budget. So, when you’re asking for quotes from your wedding beauty pros, confirm the costs for trials as well as the day itself. This is another one to check when you’re visiting venues. Does the venue hire charge include the ceremony room itself? Some venues put an extra charge on top of the base venue hire if you want to hold a civil ceremony with them. This charge can be a couple of hundreds of pounds or even more so ensure that you know all the venue costs involved before you commit. Will you be feeding your suppliers on your wedding day and do any of them stipulate in their contracts that they also need refreshments? Whilst you don’t have to serve them your full wedding breakfast, costs to feed a band, photographer, videographer and others can add a fair bit to your bill. Speak to your venue or caterer to find out what they can serve suppliers and how much these meals will cost and then work out how much you’ll be paying for supplier food and drink. With postage costs rising, even sending out your invitations can add quite a bit to your wedding budget. If you’re sending out lots of information with your invitations or the invitation itself is a larger/heavier format, you’re looking at £1 + per envelope and that soon adds up. Ask your stationer when you confirm your design which postage size your finished invitations will be, so you know how much postage will cost. Similarly, delivery costs can add up too. Something might look to be a great price online but add in postage and packaging and the cost soon goes up (and don’t forget customs charges if you’re ordering from overseas!). When we think of a church wedding, we all imagine bells, an organ and possibly even a choir. Well, these are all ‘extras’ on top of the cost of the church itself so if you know you want these traditional features, you’ll need to find out from your church how much they charge for them. Even when you get past your wedding day, there could still be some charges you need to think about. Thank you cards, postage, photographic prints and albums, dry cleaning costs for your dress and even, but let’s hope this doesn’t happen, charges for any breakages or damage. Always leave room for these post-wedding extras and you’ll be able to start married life right on budget! I really do hope that this quick rundown of common hidden and unexpected wedding costs has been helpful. It’s not an exhaustive list however and only you will know your wedding plans inside out so think about what might also apply to you. Always check with suppliers that quotes include EVERYTHING and make sure that you read terms and conditions carefully, so you know whether you’ll be charged for mileage, meals, accommodation, delivery, additional staff or anything and everything else! The supplier’s paperwork should list all costs (or potential costs) so reading it is essential. Nothing can stay hidden if you look and ask for it!